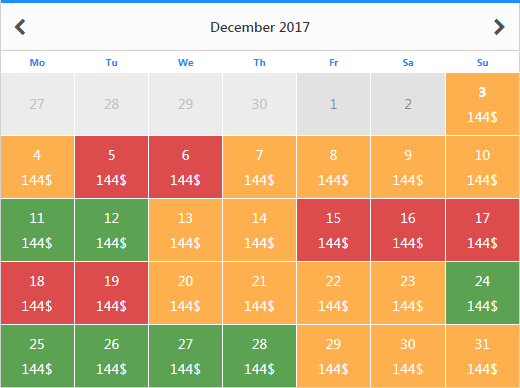 An availability calendar! How cool is that? As a shortcode or widget you can show the status of your resources everywhere on your website. It works fully without reloading, you can select to show the price for the day and it changes the resource to display availability for directly on selection. Its even interactive so your users can select their reservation date easily. Let your guests search for available resources! Premium now comes with a brand new shortcode. It lets you display a slider your guests can select the resource with. easyReservations is free - try it out now! 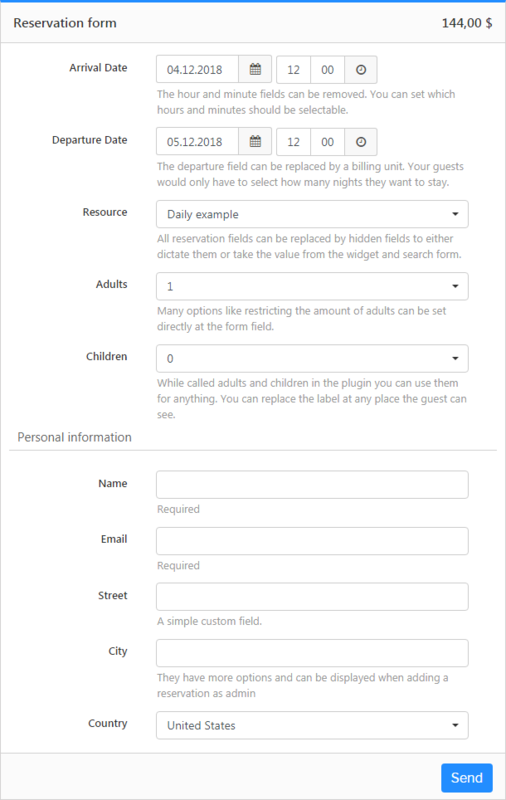 This WordPress plugin is perfect for receiving and managing bookings easily. It can be used for any reserable business like hotels, car rentals, events, appointments, conferences and many more. easyReservations has a wide variety of functions and endless possibilities – you’ll be surprised! It will increase the productivity of your business by combining the administration and acquisition of reservations in one modern and intuitive system. With a flexible availability calendar, customizable forms, and a clear reservation overview you will always have a perfect schedule of your business. Shows usage of resources, a graph of your reservations and calculates your income and averages. Define the way to get reservations yourself with extensive and flexible options.